'Mad Man' Who Received N1.5 Million Alert During Interrogation Arrested In Ondo! 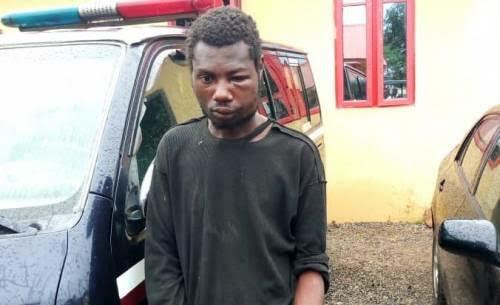 The Ondo State Command of the Nigerian Security and Civil Defense Corps (NSCDC) arrested a suspected kidnapper on Tuesday who claimed to be crazy. The commander of the NSCDC in the state, Mr. Pedro Awili, said during the speech that seven other people who allegedly committed other crimes were detained in Akure. "Our QRS team on October 15 arrested a Dele pretending to be a crazy man in the Isikan area of ​​Akure with an Itel phone. When our men arrested him and searched his cell phone, after a few seconds he received a 1.5 million payment notification. "As soon as the alarm came in, he forcefully picked up the cell phone and smashed it on the floor. "We will repair the mobile phone to know and identify the person who sent the money to him and the people he works for," he said. The commander vowed to investigate the problem, saying that the man was suspected of being a member of the abduction gang in the state.